I was so impressed to Kathy on how she did this wonderful cake diaper for the baby shower. 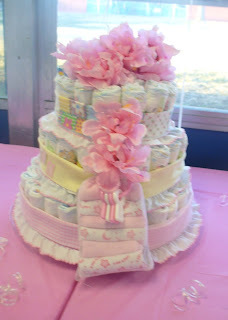 It really looks like a real cake but when you look closer, this is made of 130 diapers. 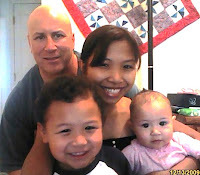 I cant believe how many diaper she used but it was so pretty. She is the one who sponsor the baby shower last Saturday and im glad everything went well. Im so happy that we got everything we need for our baby. Once again thank you so much Kathy for sponsoring the baby shower, we really appreciate your kindness :-) You and bob are so dear to us!